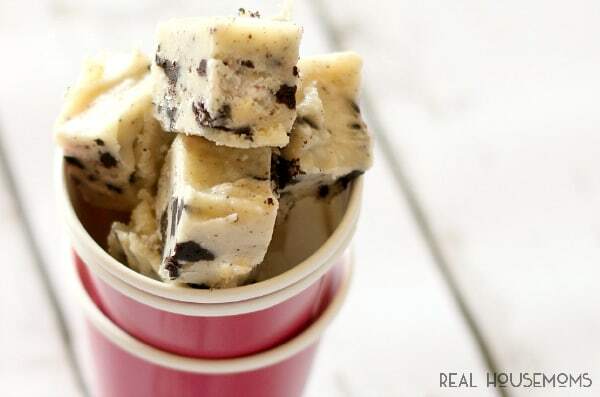 This COOKIES ‘N CREAM FUDGE is going to be a favorite of children of all ages! Nothing screams childhood than a tall glass of milk and a stack of chocolate sandwich cookies…you know the ones. They are a favorite of every kid I know. Let your favorite child smash up a handful of cookies and add them to this fudge mixture and you’ll have a new family favorite holiday dessert in no time at all. I love making fudge. Probably because it’s so easy and is very forgiving. There are so many delicious options that there really is no wrong flavor combo! Looking for even more fudge recipes? Check out my other Gourmet Fudge Recipes and these 50 Fabulous Fudge Ideas, you’ll be glad you did! Heat milk in a microwave safe bowl for 1 minute. 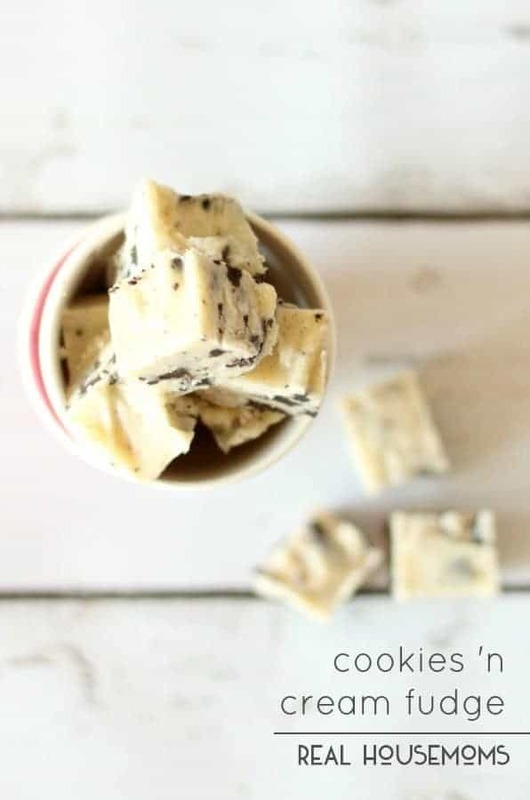 Place white chocolate chips in a large glass bowl and pour warm milk over the chocolate. Let sit for 30 seconds-1 minute. Stir mixture until the chocolate is fully melted and incorporated with the milk. 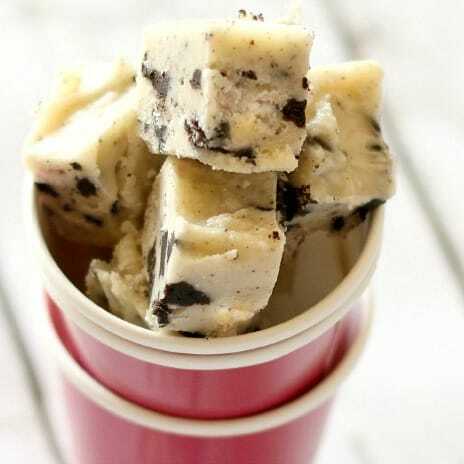 Add vanilla and cookie pieces. Gently stir until combined. Pour into an 8x8 baking dish that has been lined with parchment paper or foil. Place in refrigerator for several hours to firm. Once firm, remove from pan and cut into 64 pieces.